Homeowners make use of garage doors every day. However, they rarely find time to check and examine its condition and performance. Most of them only focus their attention to this large object when something goes wrong with it. Homeowners need to understand that this component of their home requires regular inspection as well as maintenance. By performing regular inspection, homeowners can determine if it is still safe and functional. 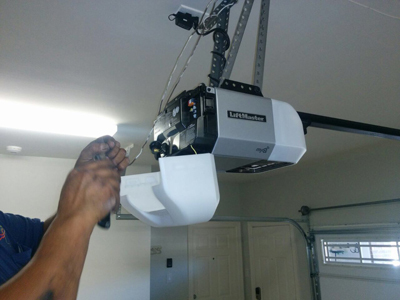 • Door does not open or close – If your garage door refuses to close or open using the remote or wall unit, it needs to be repaired. This may be caused by a faulty connection between the control panel and the door. In addition, a complete door malfunction can also contribute to this. • Noisy door – If the noise that your door makes is excessive, there might be problems with the opener, spring or other parts of the door. • Slow response time – Another indication of a possible opener repair is slow response time. Typically, the door should open or close within a second after pressing the opener. The door should open or close smoothly without any delay. If there is any delay, this can indicate a problem with your opener. • Off track door – If the door goes off track, you should get it checked and repaired right away. This happens when the components are not in good condition or due to a force hitting a closed door. • Sagging door sections – This is another indication that your door needs to be repaired. You can test the door balance at least once a month. If your door fails the test, this indicates that there is something wrong with your opener or the other components.